Born in Holland on Aug. 10, 1881, Anni von Westrum’s was a painter whose early years were spent in the Dutch West Indies where her father was a representative of the Dutch government. She began her art studies in Haarlem under Arendzen, continued in Vienna under Zaschke, Munich under Von Kunowsky, and in Paris. She immigrated to the U.S. shortly before the outbreak of WWI and lived in San Francisco during the time of the Panama Pacific Exposition of 1915. By 1921 she was in New York and had married retired German army officer, Frank Baldaugh. In the early 1920s she moved to southern California and was active in Los Angeles until about 1929 when she settled in San Diego. 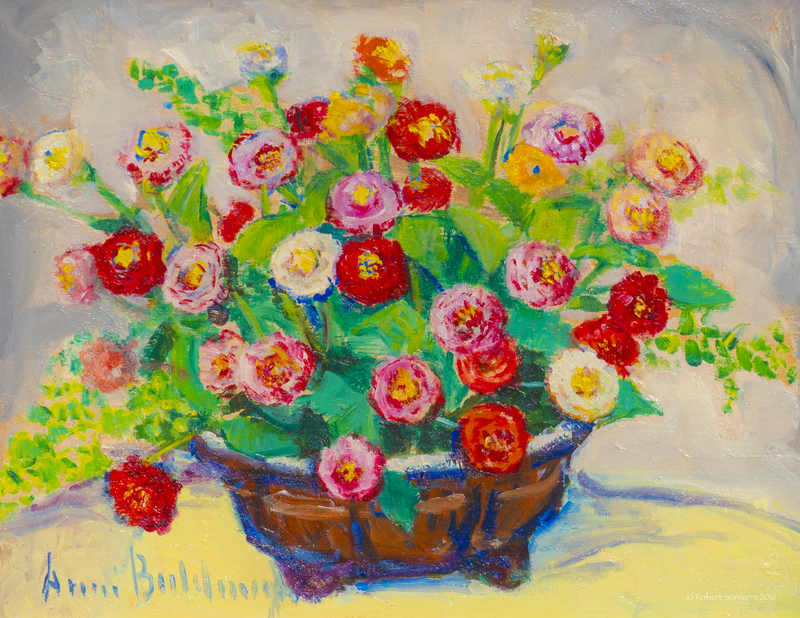 From her studio in Balboa Park came oils, watercolors, and miniatures, which won many prizes in southern California. 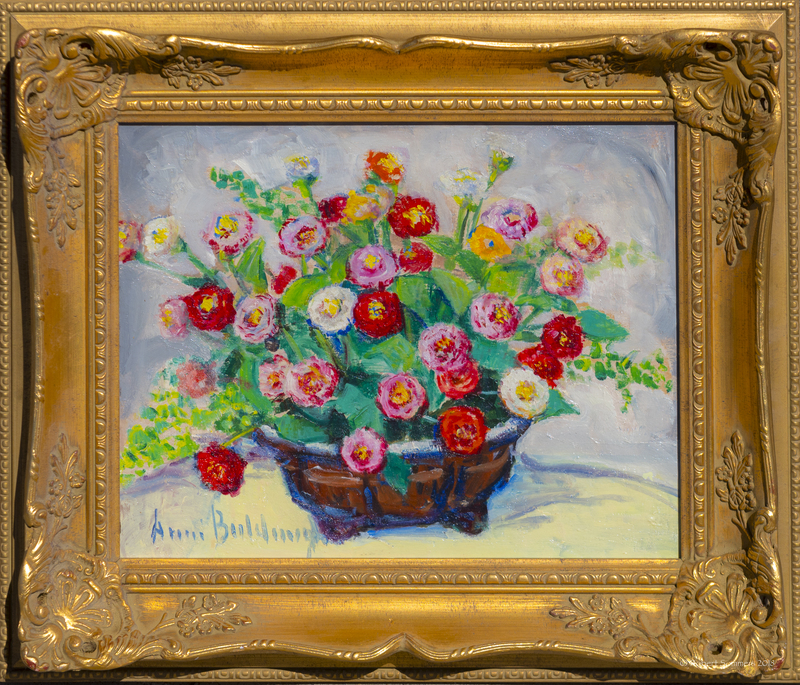 Anni Baldaugh died in El Cajon, CA on Aug. 8, 1953. Beaux Arts Inst. (Paris); Calif. Society of Mm. Painters; Laguna Beach AA; LACMA, 1922 (gold medal); Phoenix Museum, 1923 (prize); PAFA, 1924; Pomona (CA) Fair, 1926 (2nd prize); Riverside AA, 1927 (1st prize); Calif. Statewide (Santa Cruz), 1928 (2nd prize); San Diego FA Gallery, 1928 (2nd prize); Calif. Statewide (Santa Cruz), 1931; Calif.-Pacific Int’l Expo, 1935.